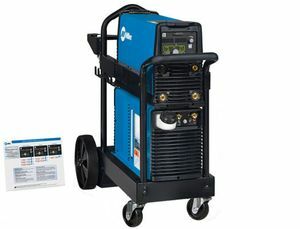 The Miller Dynasty® 210 TIGRunner® is a water-cooled, 210 amp, AC/DC TIG welding package that comes complete with Coolmate™ 1.3 water cooler and running gear with cylinder rack. The system features the Dynasty 210 CPS (Cooler Power Supply) which can weld up to 1/4 inch thick aluminum and 1/4 inch thick steel. The Dynasty 210's inverter design makes this welder compact and lightweight (only 50 pounds). The 210 CPS features user-friendly weld control interface and comes complete with memory card expansion slot for maximum flexibility and expand-ability. 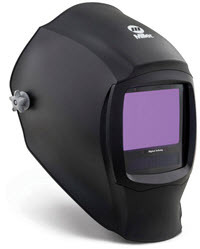 NOTE: This system DOES NOT include TIG torch, work cable, gas regulator, gas hose or remote amperage control.